Categories are the top-level Entities in ORO POS menu system. Groups can be considered as child entities of these categories. 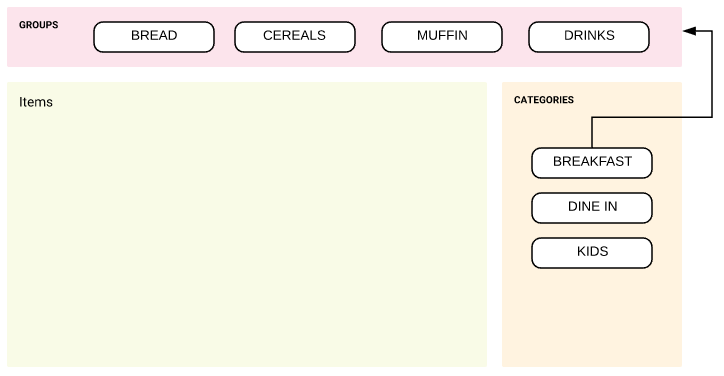 Stores can rearrange items under a group using menu page designer. In a menu page managers can also include items from other groups. If there is only one group or category, the system would auto select that.